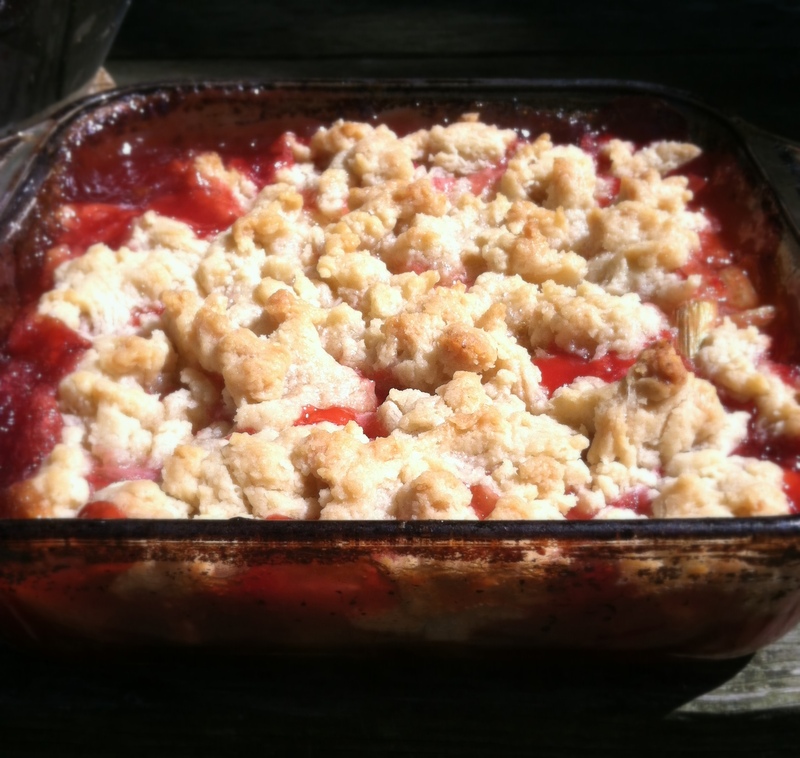 Rhubarb means summer. Summer in the 12 year-old, off-of-school, complete freedom sense. Summer in the sleep-in, wake-to-warm-sunshine, go-play-in-the-field sort of way. When I was 12, we lived on forty acres of prairie grasses and wild flowers, bordered on two sides by a slow flowing river, which would sparkle like gold in the setting sun. We also had a garden with a gooseberry plant, an apple tree, and a pear tree. 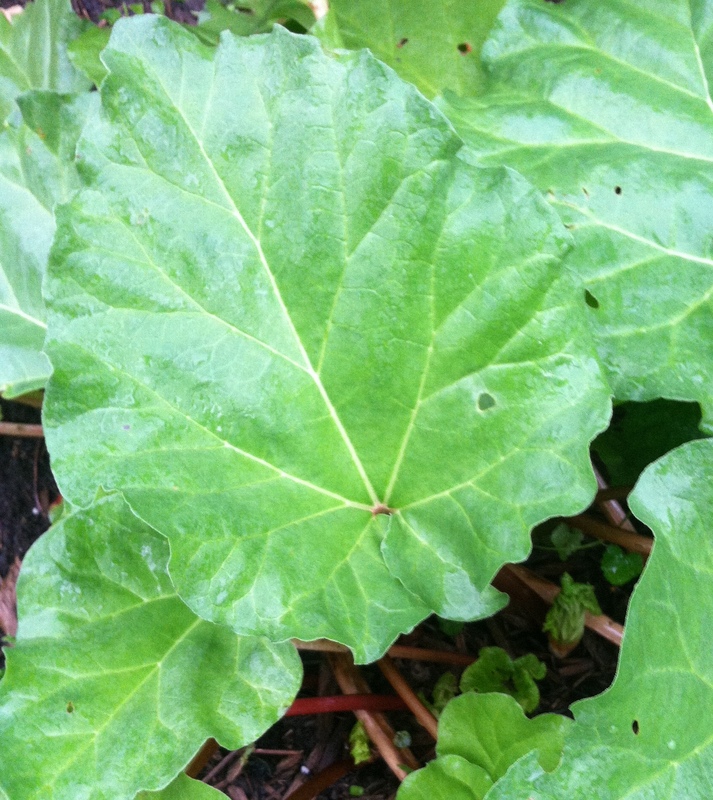 As summer closed, we could harvest all types of fruit and vegetables, but only one plant provided an unlimited snack in early summer – rhubarb. Mom gave us complete freedom to snap off as many stalks as we wanted to dip in sugar and enjoy long before anyone thought of sour patch kids. A recent article about freezing fresh food in the New York Times included a reference by Chef Tory Miller of L’Etoile and Graze in Madison to freezing rhubarb to use year round as “Wisconsin’s lemon”. That reference inspired a flurry of rhubarb creations, not the least of which was my daughter’s rhubarb crumble. 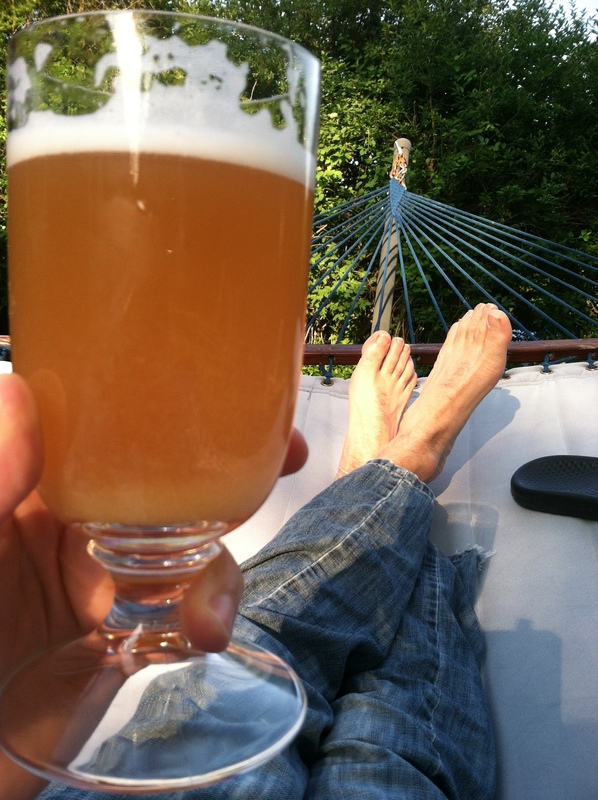 The rhubarb radler got the creative juices going. These flavors combined really beautifully, so how might we create a dish with the same profile? 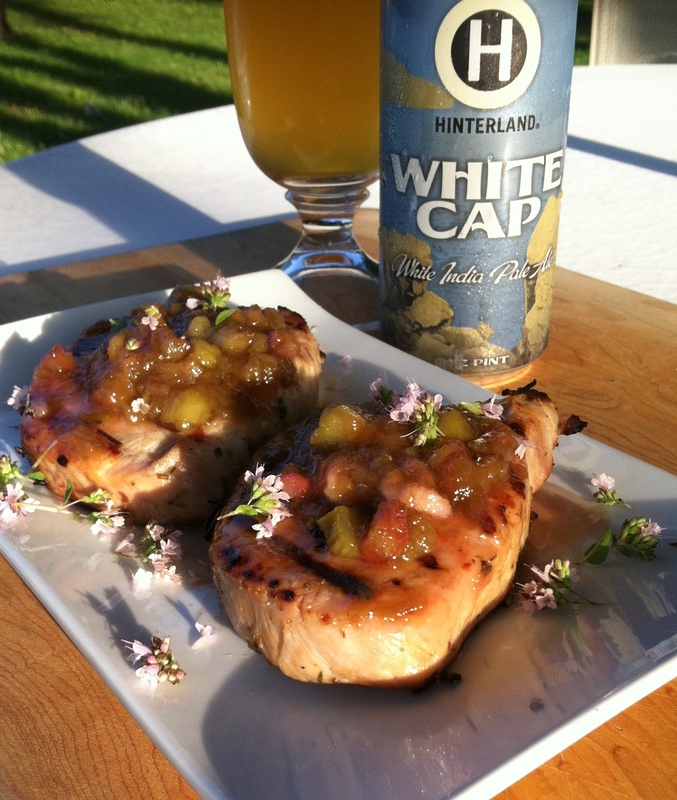 We marinated boneless, thick-cut pork chops in 1 can of Hinterland White Cap with 5 cloves of smashed garlic, 1/2 cup of sea salt, and 2 tablespoons of chopped oregano flowers. Fresh oregano can be substituted, but the flowers are a bit less powerful in flavor and seem to bring a somewhat floral character. The chops marinated overnight and then were grilled. We topped them with a rhubarb compote made of 1 cup of diced rhubarb and 1/4 cup sugar and 1/4 cup more beer slow simmered on the stove. When the rhubarb softened just a bit we removed the solids, reduced the liquid down to a very thick sauce and then added back the solids for a quick compote. The dish is topped with more oregano flowers and of course enjoyed with another Hinterland White Cap. The compote was sweet but the IPA added the needed complexity to hold a bit of interest. My daughters claimed they could taste the beer in the pork chop, but only after I told them it was marinated in beer. The beer flavor is subtle, but different enough to make it a bit intriguing. Overall, a very nice blend of flavors. We enjoyed these with skillet browned baby potatoes and tarragon butter green beans. It tasted like summer. For nearly 300 years the Ojibwe thrived on the shores of Gitchii Gamig, what we now call Lake Superior. Fishing on the creeks, smaller lakes, and on Lake Superior was a near constant through the seasons, using nets formed of branches in the summers and fishing through the ice in the winter. One of the prized treasures was the Adikameg, a slender, silver bullet of fish, now known as freshwater whitefish. The flesh is tender, flaky, and beautifully white when properly prepared. Available around the world, this member of the salmon family has thrived in Lake Superior waters for ages, were the dark cold waters provide the perfect environment for them to thrive. Fishing both by line and by net, the Ojibwe harvest could be prepared for immediate consumption but also preserved for longer by drying on racks in the sun or over low fire. The dried whitefish would be added to stews or corn meal and likely was used more the way bonito flakes are prized today. They would have added flavor and protein to dishes and proper drying would preserve them for far longer than fresh fish would be palatable. On a recent trip to Hawaii I was re-acquainted with Dry Aku, their version of dried skip jack which undergoes a far simpler process than bonito flakes and may be a bit closer to the historic process of the Ojibwe. 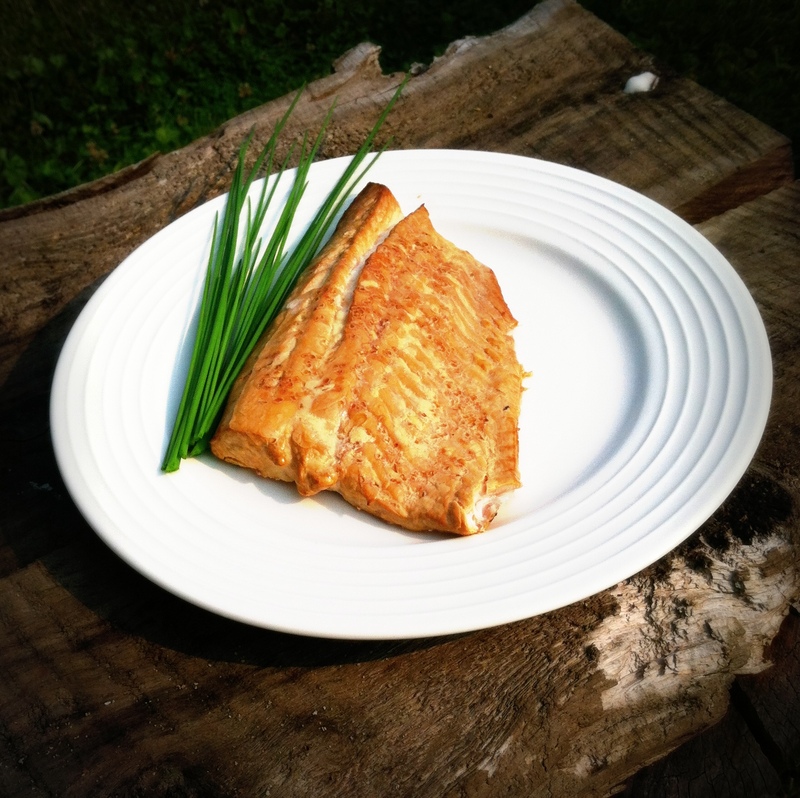 The recipe we share here for smoked whitefish is a world away from those dried fish preparations, but the base ingredient is the beautifully delicate flakes of whitefish taking on the smokey flavors of a hardwood fire. We feel it falls right into our Great Lakes cuisine traditions. Prepare smoker for a low heat, hardwood smoke. We used applewood chips for our preparation. Place whitefish fillet into the smoker with a sprinkle of sea salt. We went for an hour on a fairly thin fillet shown above, but time will depend on fillet thickness and smoking temperature. When in doubt, on this preparation go longer rather than shorter as whitefish firms up as it smokes and a bit of texture is helpful in this approach. Allow to rest over night. Remove skin and flake fish into food processer. Add heavy cream and blend until just fully mixed then add cream cheese and lemon. Continue blending until smooth. In a bowl, mix whitefish mixture with chives. Chill 4 hours or overnight to allow flavors to blend. 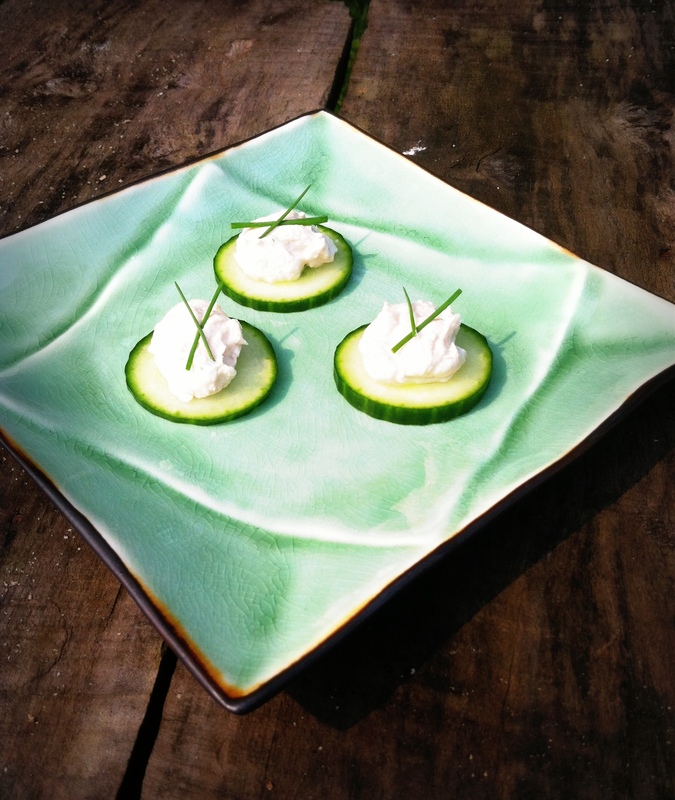 Serve with crackers, rye bread toasts, or on cucumber rounds.